Step into this 450 square meters �Aladdin�s Cave� and be blown away by the sheer beauty of it! This shop is a cosy and fun get-together for young and old which has been a great source of inspiration to many for the past 6 years. There is no Arts & Crafts shop such as this one anywhere on the West Coast. Be prepared to be totally surprised and bedazzled by what you find once you�ve stepped through the door. 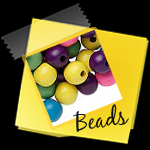 Sizzling Beads & Crafts boasts the largest selection of Scrap booking, Beads, Findings, Mosaic and associated supplies to be found in any Arts & Craft shop. We also stock a large variety of Arts & Craft tools and machines like Cuttlebug. We have recently expanded our range by adding stationary & school supplies. 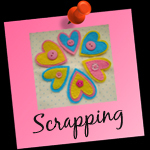 At Sizzling Beads & Crafts you will find three shops under one roof � this is indeed a one-stop shop for arts & craft lovers. Prices are very competitive, and you can be assured of personal service on hand by Colleen, Riaan & Estelle. 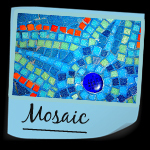 Great news - We are expanding our shop as to enlarge our Mosaic and Workshop areas. Unfortunately we will have to close the shop for a few days.CLOSED Mon 10 Aug to Wen 12 Aug - RE OPEN bigger and better Thursday13 Th Aug morning 09H00. Sorry for the inconvenience. Our Hobby Department is open. We are the official suppliers of Humbrol, Tamiya paints and products. A large selection of Airfix, Italeri and Academy model kits. We also stock up market RC cars and helicopters. Spares available for all our RC models. Balsa sheets and blocks available. TOKREEN- Next class is 27 June 2014 -09h00/12h00. Multimedia Heart or Cross - the art of fabric and Tokreen - Book now at shop.See Gallery for photos of last class. NEWS: We are the authorized supplier of TOKREEN on the West Coast. Available in Black,White,Brown,Terracotta and Clear,1 Lt and 500 ml. Classes are available- please book. Visit our NEW FINE ART department. 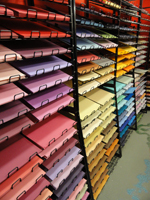 Largest West Coast stockist of Lucas and Winsor & Newton paints,Canvas, Mediums,Brushes & Art accessories.